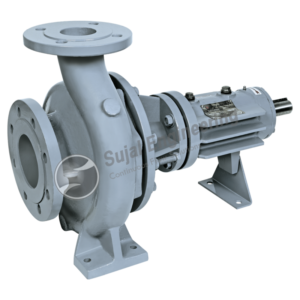 Pumps in food industries are used to transfer product from one place to another and are one of the most important applications for food manufacturers. The texture and quality of food are one of the stringent parameters and it depends upon how the pump is used for food production and processing. 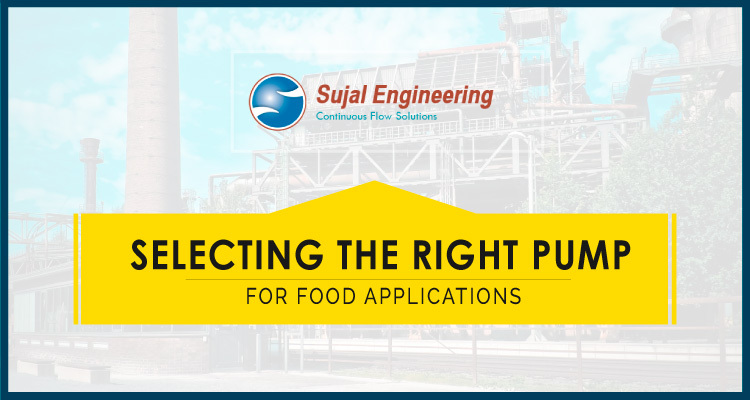 The choice of handling and treatment equipment used in the manufacturing process and the selection of the right food processing pumps for food applications is essential. If you are not sure about how to select the right pump, or what information you should know before contacting the right vendor, here is a list of 5 things you should know when selecting the perfect pump for your industry. What is the pump intended for? Will the type of food product affect the working of a pump in long run? Below are food properties that must be considered before selecting a pump. Will the food product be compatible with the pump materials? Each pump comes with chemical compatibility chart which will help you identify the most appropriate materials of construction for the pump. #3. Does my plant require heavy duty pumps? Yes, where downtime is not an option, heavy-duty pumps should be chosen. However if your plant is small and afford closing for maintenance, you may choose other pumps. #4. Where will I install the pump? If your answer is outside the factory you may require, special construction or installation considerations in case of both high and low temperatures. Ambient temperature may affect the quality of food. Your total volume and knowing how much time you have to move the fluid will determine flow rate. Pump differential pressure can be calculated by knowing pipe size (length & fittings), static lifts, and system equipment (filters, valves, etc.) friction losses. 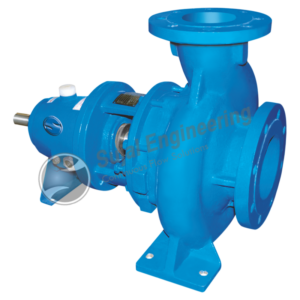 By understanding the above factors, you will be able to make the right selection of pump. 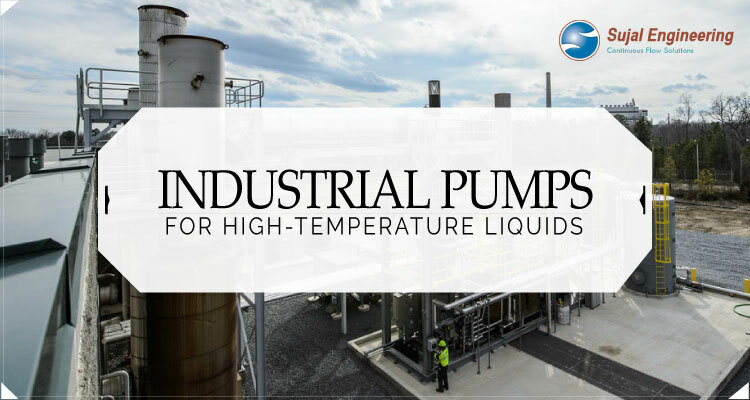 However, practically looking, the exact pump requirements depend on a lot of factors, including the nature of the product itself and the processes involved. However, they tend to fall into two types, those which can be pumped and transported in pipes and those which need to conveyed, usually by mechanical belts or similar systems. It is a single stage, horizontal, single suction volute type, air-cooled centrifugal pump. 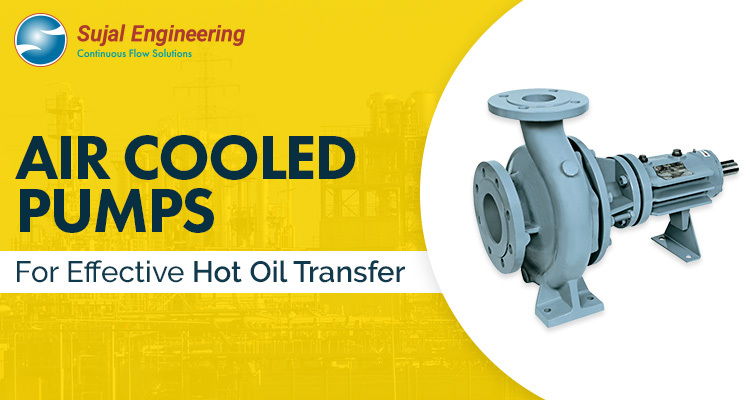 These pumps are designed for high-temperature applications wherein they isolate liquid in the motor section of the unit for the hot process fluid in the pump casing with a series of pressure ports located in the front bearing housing or pump casing adapter. This isolated liquid (usually the same fluid as the pumped fluid) is circulated through an air-cooled heat exchanger by an auxiliary impeller located on the rotor assembly. This design allows the motor and bearing environment to be at a much lower temperature than the process fluid. 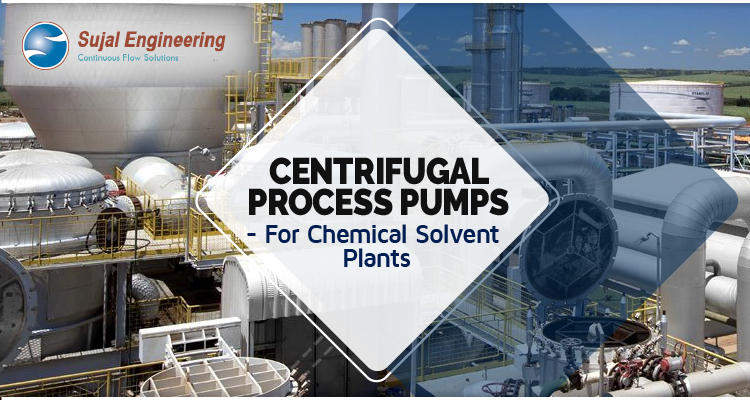 Centrifugal pumps are one of the most useful pumps which operate on the concept of centrifugal force and internal rotating mechanisms and is vital yet invaluable to a number of different industries. The liquid that leaves the outer diameter of impeller enters into the internal casing wall of volute. Here it stops to collect in ever-expanding exit chamber of volute. The velocity is now converted into the pressure available at the discharge nozzle because the impeller diameter and motor speed are constant. 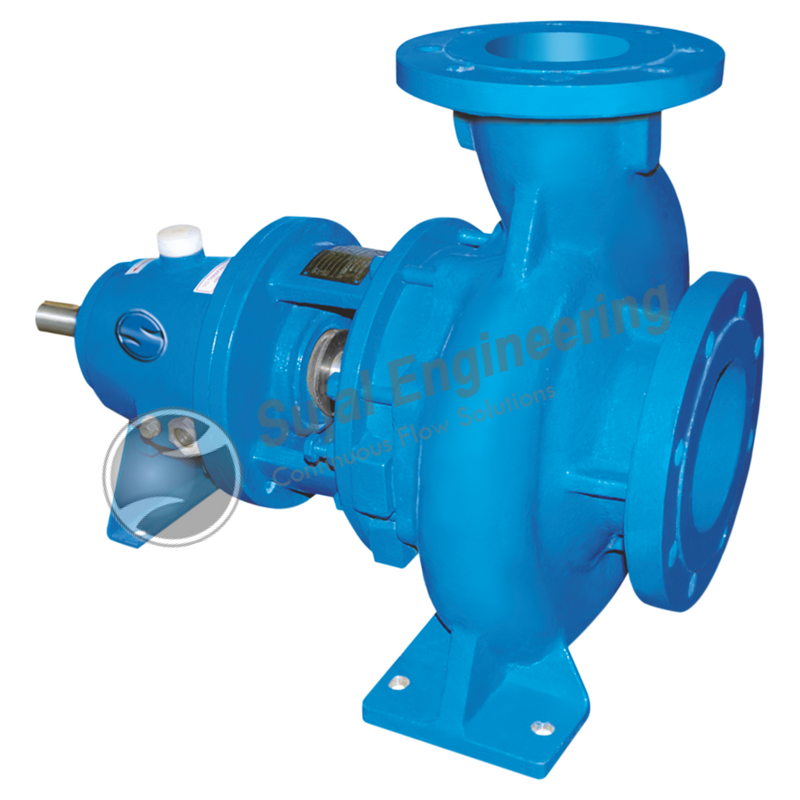 The centrifugal pump can be considered to be a constant pressure device. If you are looking for the best pumps for your food processing applications then feel free to contact us. Our team will get back to you with more detailed information.